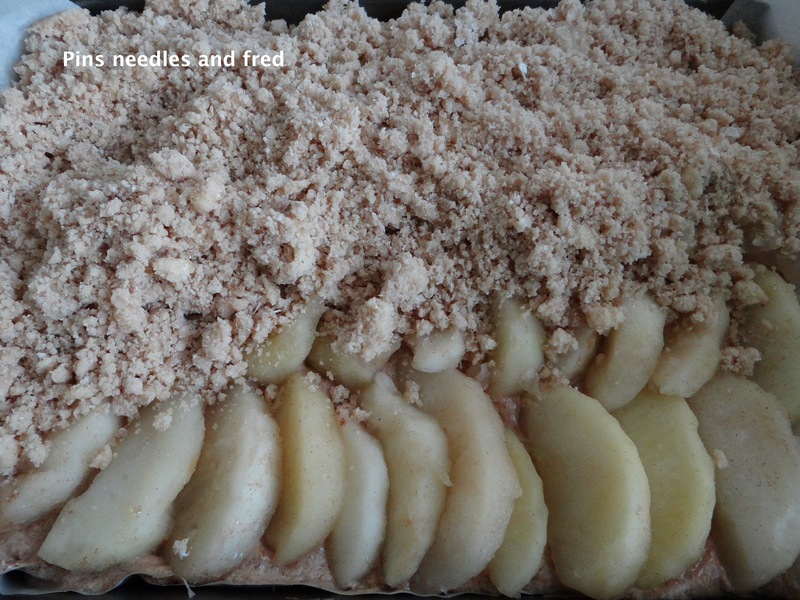 I like to make a cake at the weekends I came across this lovely recipe for Cinnamon and apple crumble cake. I have also been investigating spices and herbs as medicine; cinnamon has sugar balancing properties, which help the body deal with the highs and lows of a sugar rush. It is an all round good spice which also has anti-viral properties which is why it is an excellent cake to eat this time of year. 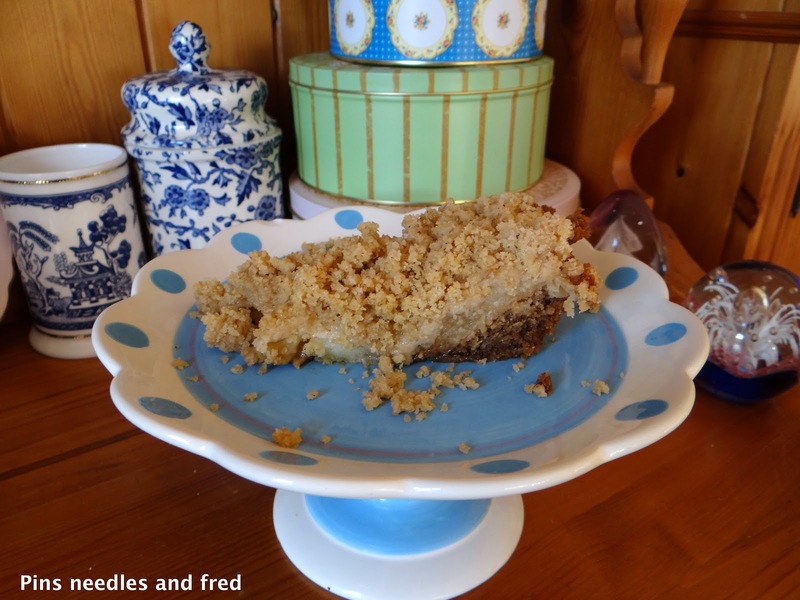 Since I am a huge fan of apple crumble this seemed to be the perfect cake for me, however the perfection in the recipe book has eluded me, if you look closely you will see that the sponge base disappears in the centre. I find recipes that don’t work really annoying, this is my third attempt to get the cake to work and I am disappointed again! It tastes ok, but still does not look like the picture promised. 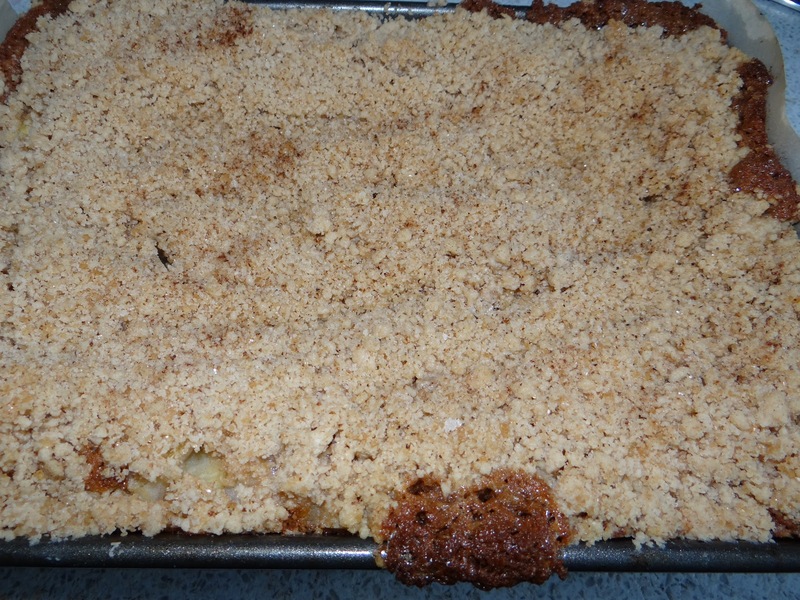 The second time I made it I cooked the sponge base first, then added the apple and the topping, but the crumble did not work well. I finally realised that in order to make an effective crumble you need to use butter straight from the fridge, otherwise the flour and butter blend into a dough needing more flour which results in a dry cake. This third attempt, back to cooking all three layers together did not work, the rising cake mixture had no where to go so ended up disappearing from the middle and going up the sides. Peel, core and chop two large or three small apples and place in a saucepan, cover in water, add two tablespoons brown sugar, a teaspoon of cinnamon, and a handful of cloves, bring to the boil and simmer until the apples are softened but not mush. (about 10 minutes) Drain and leave to cool, pick out the cloves as they are not tasty to chew on, but they do bring out the flavour of apples so well. Add cinnamon (to taste) and two lightly beaten eggs, gradually, add 4oz flour a spoonful at a time between each addition of egg to stop it curdling. Add a teaspoon of baking powder and mix together and then put into a 8inch cake tin. Cook at 180 GM 4 for 10 – 15 minutes until slightly firm. Cover the sponge with the apple and return to the oven to continue cooking. (By cooking the sponge first it gives it the room to expand before adding the apples). 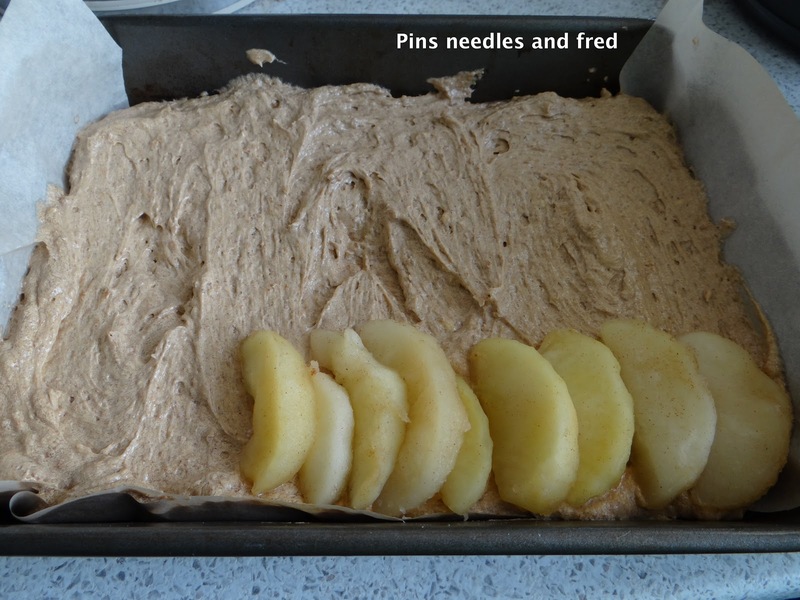 If you put the apple directly onto the raw cake mixture it will have no room to expand and will move round the edges. Add 3oz of demerera sugar and cinnamon to taste (1 – 2 teaspoons) mix together. Remove cake from oven and top with the crumble mixture, cook until the crumble topping is brown and golden and a knife comes out of the cake clean. You can see the cake mixture has escaped round the edges and landed all over my oven! hence the suggestion to pre-cook the sponge. Delicious when warm with custard.